In the case you need an outstanding safety mat, the Diamond Safety Sponge Mat is the absolute solution specially designed for business and commercial purposes. The comfort and safety you will experience with this innovative mat is amazing. Since it is made from advanced and sophisticated materials, it is —unquestionably—the most convenient as well as cost-efficient option for you in the market. 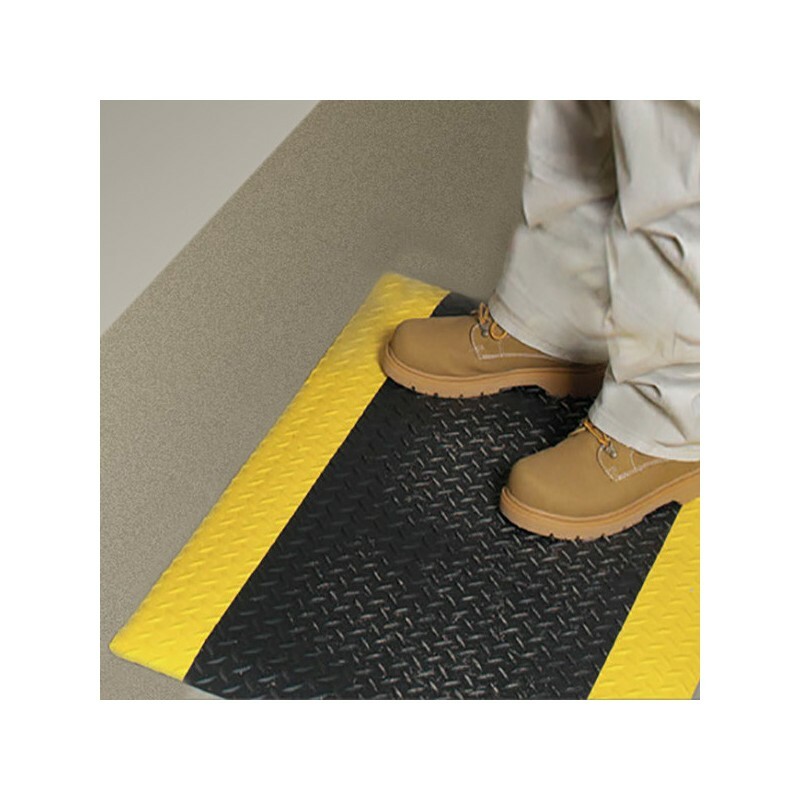 One of the main benefits Diamond Safety Sponge Mat offers to you is a special comfort —when you walk on it— as well as safety over every kind of surface. This mat has been manufactured with a flexible vinyl sponge —which is the principal material— capable to guarantee a soft but secure tread. Moreover, this sponge mat comes with a diamond tread designed to resist liquids and fluids such as oil, water or grease. One of the greatest advantages is it keep its flat form on any surface. In fact, this mat is the perfect alternative for offices, factories and industrial units.